Make sure you read all the way to the end so you don't miss the giveaway! 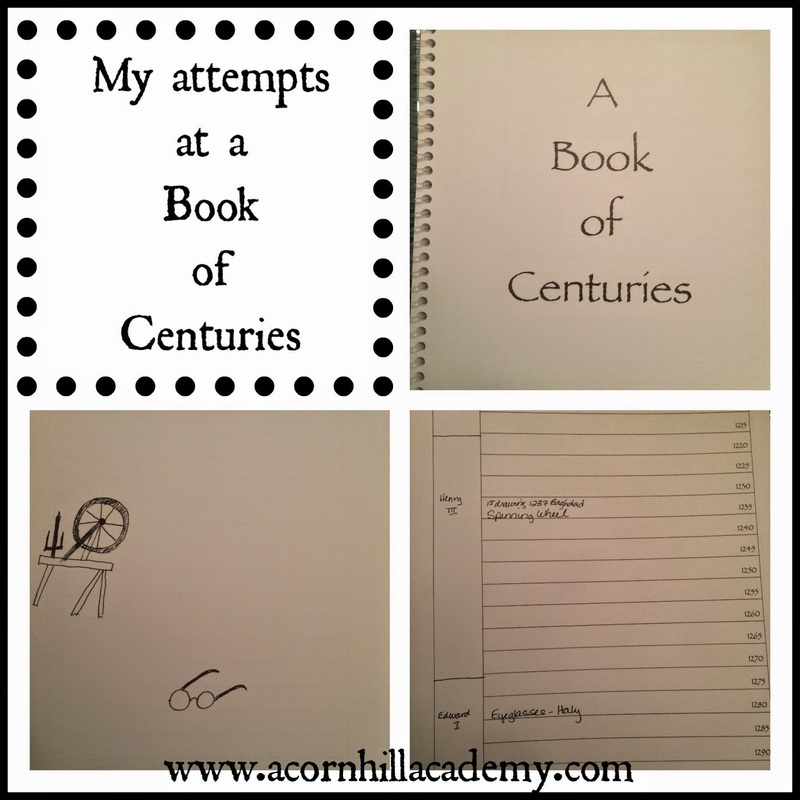 Another tool I've learned about through the Charlotte Mason Institute conference is a Book of Centuries. Have you heard of them? Originally, I thought they were timeline books, but they are quite different, actually. Charlotte Mason would have had her students take their Books of Centuries with them to visit the British Museum. On one page, recorded years of a century, and on the other page, they would sketch objects they felt were significant from that century. These were simple notebooks, with one blank page for sketches and one lined page for writing. These were not detailed works of art, as they would probably have had to do them while standing. However, hand drawings were one of the many ways Miss Mason reinforced skills of observation in her students. I can tell you from my own experience that you do make a greater connections with things, whether they are nature study specimens or historical objects, when you pay attention to them closely enough to draw them. 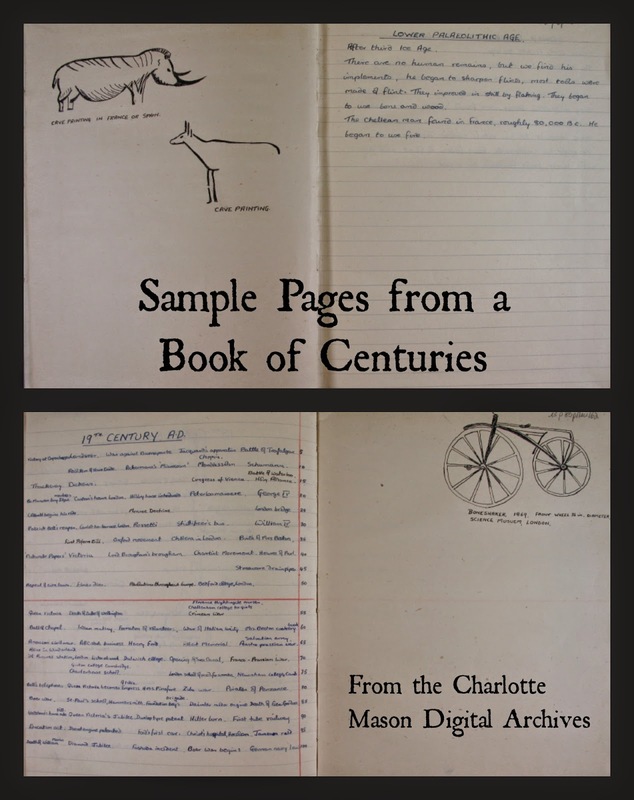 Here are a couple of sample pages from a Book of Centuries that has been scanned into the Charlotte Mason Digital Archives at Redeemer University. Charlotte Mason's students would have started keeping a book like this in around 5th or 6th grade, and they would have maintained it throughout the rest of their education, and on throughout their lives, if they wished. I didn't have my girls start these earlier because I was really not sure how to go about it, but this year, I am determined that we will ALL be adding to our books. I made ours for us, because... I don't know. I just wanted to, I guess. I bound them with my handy-dandy ProClick. Charlotte Mason's students used books that were very similar to composition notebooks. In our books, I left a column on the left-hand side of the dated page for things like British royalty of the time (and when we get there, probably U.S. Presidents). A friend of mine showed me how she used that with her students, and I thought it made a nice connection. We don't live near any particularly fabulous museums, so for this year as we study the Renaissance era, we will rely on pictures we find in books and on the internet unless we happen to be on a trip somewhere. When I was at the NCHE conference in May, I got to visit the Books Bloom booth, and found a lovely little book called Made in the Renaissance by Christine Price that has some lovely pictures we can use, and we will see what else we come across in our readings. 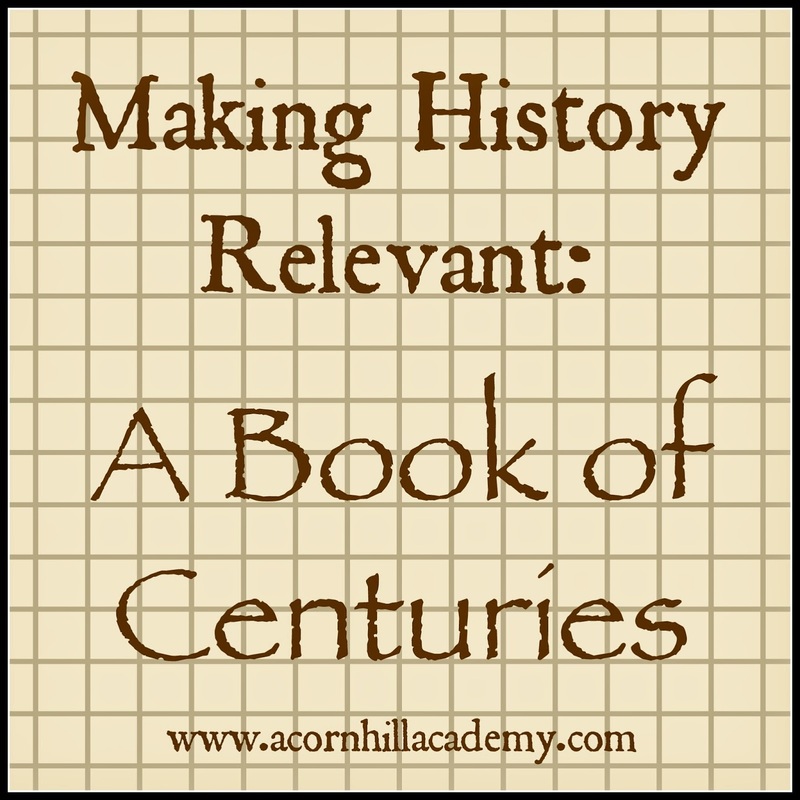 What with century charts, and timelines, and maps, and now books of centuries, this might seem like a lot of things, but none of them take very long, and each one can make a different and significant addition to your history studies. Today I have another little gift for you. Click here to download my Book of Centuries template page. I hope you find it useful! 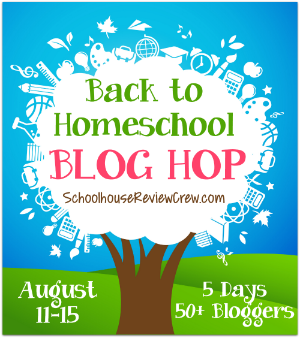 Don't forget to check out the Back to Homeschool Blog Hop this week! You can get started with the links below. That is very cool!! I didn't know the difference between a Book of Centuries and a timeline. I love the idea of sketching the things we think are important.